How does our amazing earth work? What plants can we eat, and how do they help us? What is the science of making a shelter or solving a Rubik’s Cube? Did you know that Indigenous people have thousands and thousands of years of knowledge about how things work? Whether you are Cree or Mi’kmaq, Haida or Mohawk, Dene or Inuit, you belong to a long history of incredible scientific knowledge! We have stories that explain the stars. We have brilliant engineers and mathematicians and archaeologists who test things and learn things and figure out good ways to do things. Coyote Science wants to take you on a super-charged, electrifying exploration of our fascinating world. Challenge your brain with Coyote’s riddles! Go on a Science Quest! Find out some super fun and easy hacks you can do from your own home. 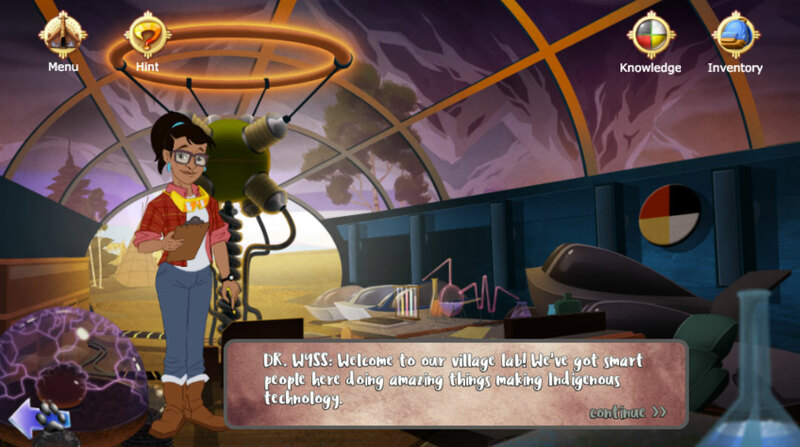 And meet some of our brilliant Indigenous scientists and leaders — and maybe you too will become the next astronaut or neuroscientist or geologist to bring all this important knowledge to the world! Science gives us such a cool way of looking at things. Our Indigenous knowledge can help us to solve problems, figure things out on our own, and feel how amazing it is to be part of this wondrous universe!